Previously cancelled sequel finally set for return. Granzella will reveal its Disaster Report 4 revival with a trailer next Friday, November 27 at 12:00 noon Japan time (November 26 at 7:00 p.m. PT / 10 p.m. ET), the developer announced. Granzella acquired the Disaster Report IP, known as Zettai Zetsumei Toshi in Japan, from Irem in December last year. 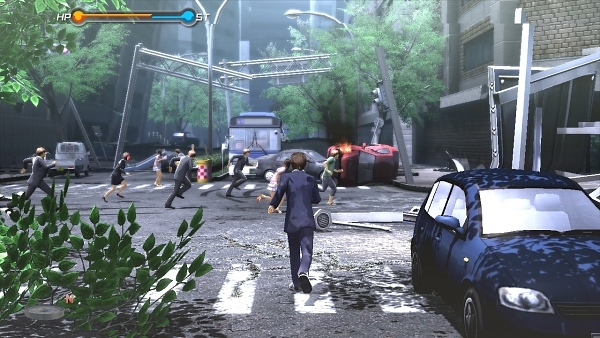 Disaster Report 4 was supposed to launch for PlayStation 3 in 2011, but was cancelled in wake of of the 2011 Tohoku earthquake and tsunami. The new version of the game won’t undergo any drastic changes, according to Granzella co-founder Kazuma Kujo, but it will display a level of evolution given the time it’s been since its original planned released. Disaster Report 4 isn’t Granzella’s only survival action adventure game in the works. At the Tokyo Game Show, Bandai Namco and Granzella announced a separate project, Project City Shrouded in Shadow, for PlayStation 4 and PS Vita.